CARMEL, CA (October 16, 2017) – The 26th Stocker Cup tees off on Thursday, October 19, with another strong field set to tackle The Preserve Golf Club. Players from 20 states will gather at the limited-field event that honors the man that devloped what became known as the Santa Lucia Preserve, where The Preserve Golf Club now sits. In the Silver Anniversary of the tournament last year, Joe Deraney (Nashville, TN) captured his first Stocker Cup title, shooting 4-under 212 to win by a single shot over John Sawin (San Francisco, CA). For Deraney, it was the capper to a year that also included wins in the Lupton Invitational, the Timuquana Cup and the Kentucky Mid-Amateur. Former U.S. Mid-Amateur champion Kevin Marsh and Randy Haag have won the most Stocker Cups with three: Marsh won his three in a four-year span from 2009-2012, while Haag’s first and last titles were 19 years apart (1992, 1997, 2011). Brady Exber of Las Vegas (2014, 2015) is the last repeat champion. 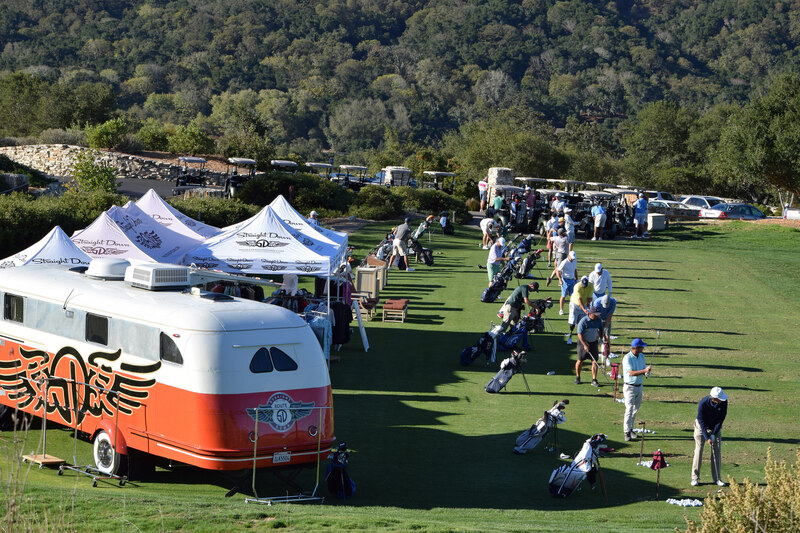 The tournament is played each year to honor the memory of real estate developer Peter C. Stocker, who died in a tragic helicopter accident at Rancho San Carlos near the Carmel Valley in 1990. Located in a stunning 20,000 acre nature preserve high above Carmel, The Preserve Golf Club is a par-72 layout designed by Tom Fazio and Sandy Tatum that plays at 7,067 yards from the back tees. The tournament features two simultaneous competitions: An individual championship with 50 of the country’s top Mid-Am golfers, and a gross and net team competition pairing those same golfers with 50 avid golfers in a format similar to the PGA Tour’s AT&T Pebble Beach Pro-Am. The B players include friends of Peter Stocker and the Stocker family, invited friends of A players, as well as Preserve Golf Club members — many of whom graciously share their homes with their partners. On June 22, Stocker Cup lost a dear friend and founding member of the Committee. The Sandy Tatum Trophy, which has been given to the player age 50 and over with the lowest gross score since 2004, will take on an extra special meaning when it is awarded at this year’s tournament. A former president of the USGA, Sandy was a frequent golf partner of Peter Stocker; he also consulted with Tom Fazio on the design of The Preserve Golf Club. “He loved seeing the Stocker Cup develop into a staple of the national Mid-Am circuit,” said Tournament Chairman George Kelley. Jason Anthony (Fairfield, CA): Making his fifth straight appearance in the Stocker Cup, the Californian placed T4 in 2015 and 2016, and won the 2015 gross team title at 18-under with his father Jack. Anthony is a USGA-seasoned player who advanced to the round-of-16 at the 2016 U.S. Mid-Am, qualified for the 2017 USGA Four-Ball with Randy Haag, and made the second round of match play at last week’s U.S. Mid-Amateur in Atlanta. He has also enjoyed success in Northern California this year, winning the NCGA Valley Amateur and finishing runner-up in the NCGA Mid-Amateur. Patrick Christovich (New Orleans, LA): Making his second appearance in the Stocker Cup, Christovich comes in as the 9th ranked player in the AmateurGolf.com Mid-Amateur Rankings, the highest of any player in the field. Christovich won the 2017 Timuquana Cup, his first national mid-amateur win since he won the Coleman Invitational at Seminole in 2014. This season he also had high finishes at the George C. Thomas (runner-up) and the Birmingham National Invitational (8th). The highlight of his 2016 season was making a run to the semifinals of the USGA Four-Ball, where he and partner Garrett Rank (Canada) lost a nail-biter to the eventual winners in the semifinals. In 2014 and 2016 Christovich represented the USA at the Concession Cup. Kenneth Cook (Noblesville, IN): Cook is a former U.S. Mid-Amateur runner-up and Harvey Penick Invitational champion who has finished runner-up in the Lupton Invitational at the Honors Course in both 2014 and 2016. He made match play in four straight U.S. Mid-amateurs (and five of six), and represented Indiana in multiple U.S. State Team championships, where he finished 6th individually in 2016. A winner of several championships in his home state of Indiana, he was the Indiana player-of-the-year in 2012. Just this week, he and his partner qualified for the U.S. Four-Ball Championship. Tyler Crawford (Indio, CA): Crawford comes into the Stocker Cup fresh off of a quarterfinal run at the U.S. Mid-Amateur in Atlanta, winning three matches before falling on the 19th hole to Mark Harrell. He also had a big win at the Kelly Cup at Lakeside earlier this year, prevailing by four shots over Robert Funk. He has played well in the Stocker Cup, finishing in the top 10 in each of the last three years. He is also a two-time runner-up at the Southern California Mid-Amateur. Joseph Deraney (Nashville, TN): 2016 was a banner year for Deraney, with his win at the Stocker Cup capping a year where he also took the Timuquana Cup as well as the Lupton Invitational at The Honors Course. He also finished runner-up at the Tennessee Mid-Am and tied for fourth at the Canadian Mid-Am. This year, he successfully defended his Kentucky Mid-Amateur title, and played in his first U.S. Mid-Amateur Championship. He also finished runner-up in the Carlton Woods Invitational, 4th in the Timuquana Cup, and 7th in the Birmingham National Invitational. He is currently the 13th ranked player in the AmateurGolf.com Mid-Amateur Rankings. Jeronimo Esteve (Windermere, FL): Originally from Puerto Rico, Esteve is the general manager of an auto dealership and a driving instructor for high-performance racing cars. Last week he competed in his fourth U.S. Mid-Amateur, making match play. Esteve has competed in all three Latin American Amateur Championships and two World Amateur Team Championships (2012, 2014). He was captain of the Dartmouth College golf team and earned All-New England recognition in 2003. Esteve finished fifth at the George C. Thomas Invitational earlier this year and was a quarterfinalist in last month’s Crump Cup. Brady Exber (Las Vegas, NV): Nobody has had more recent success at the Stocker Cup then Exber. Since 2006 Exber has finished inside the top-20 every year and has won back-to-back titles in 2014 and 2015. Exber had a great year in 2014: in addition to winning the Stocker Cup, he also captured the British Senior Amateur, the Senior Azalea (for the 4th straight year), and the Yeamans Hall Senior. He also won the 2015 Crane Cup and was the runner-up in last years British Senior while representing the USA at the Concession Cup. This year he he was inducted to the National Senior Hall of Fame, finishing 2nd in the tournament. He also finished 3rd at the Coleman Senior and made match play in the U.S. Senior Amateur. Robert Funk (Canyon Lake, CA): A long-time Stocker Cup participant, Funk was the only amateur to make the cut at the 2017 U.S. Senior Open at Salem Country Club, a result that exempted him for the U.S. Amateur at Riviera. He was also the runner-up to Tyler Crawford at the Kelly Cup earlier this year, and finished 9th in the Southern California Mid-Amateur (a tournament he has won twice). Most recently, he made the championship match play bracket at the Crump Cup at Pine Valley. Funk is a past champion of the Trans-Mississippi Championship and the Crane Cup. Colby Harwell (San Antonio, TX): Harwell won both the Texas Mid-Amateur and Texas Mid-Amateur Match play championships this year, and also qualified for the U.S. Amateur at Riviera. He also finished sixth at the Carlton Woods Invitational, a tournament he won in 2013 and 2016. Last year he finished 8th in the Stocker Cup and 7th in the Lupton Invitational, while winning a team event at The Devlin. The winner of the 2013 Crane Cup, Harwell has represented Texas in the USGA State Team Championship, finishing 4th individually in 2014. Bill Williamson (Cincinnati, OH): Williamson comes into the Stocker Cup playing well, making the second round of match play at last week’s U.S. Mid-Amateur. Last month he was one up over Michael McDermott with two holes to go in the Crump Cup final, but had to settle for runner-up after McDermott won the last two holes, including a hole-out eagle on 17. Williamson has competed in 15 USGA championships, including six U.S. Mid-Amateurs. He is a three-time Greater Cincinnati Player of the Year, and finished 5th in last year’s Coleman Invitational and third in the 2015 Terra Cotta Invitational.